These unassuming little sweet & salty buttery nuggets are addicting. At least they are to me. 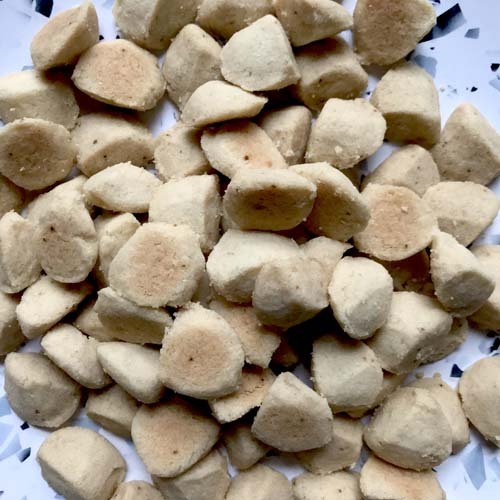 They're just a really great shortbread cookie, and although I already have them here on this blog, today I made them gluten free. I had my doubts that they would turn out as delicious as the wheat version, and I was pleasantly surprised. Like I said, sweet, a little salty, and gorgeously buttery--especially if you bake them to the point where the butter in them browns a bit. Mm. So good. I'm going to have to give some of these away before I eat them all myself. Line a baking sheet with parchment paper & set aside. In a small bowl, mix the almond flour, sugar and salt. 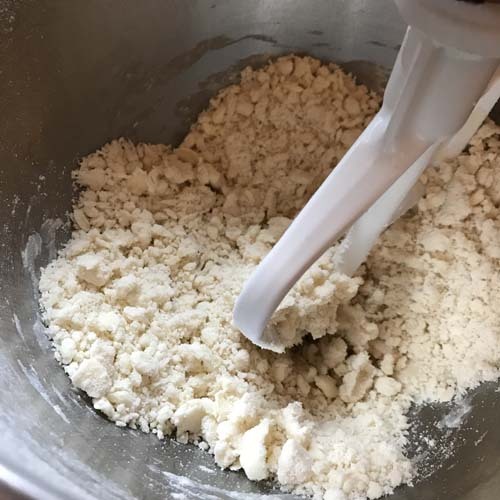 In the bowl of standing mixer or a large mixing bowl, mix the gluten free flour and the butter until it is sandy in appearance (see pic below). Add the almond flour, sugar, and salt mixture to the butter & flour mixture and mix until completely incorporated and the dough gets a bit clumpy. It will not become a cohesive mass. Using a half teaspoon measuring spoon, scoop up a packed level half teaspoon of the mixture. 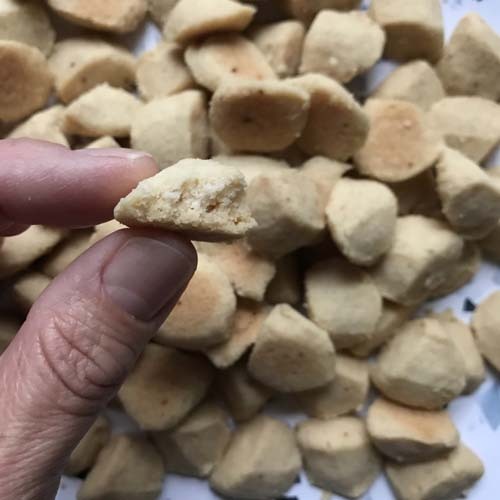 Scrape it out into the palm of your hand and pinch the dough with the fingers of your other hand to create a tight little lump that holds together. Place on the baking sheet and continue to form the cookies until the pan is full. Cookies should be placed about 1 to 1 1/2 inches apart. Bake at 325 degrees for 16-20 minutes. I like mine browned pretty well, so I bake them closer to the 20 minutes mark. This is what the butter and flour mixture looks like right before you add the other ingredients.